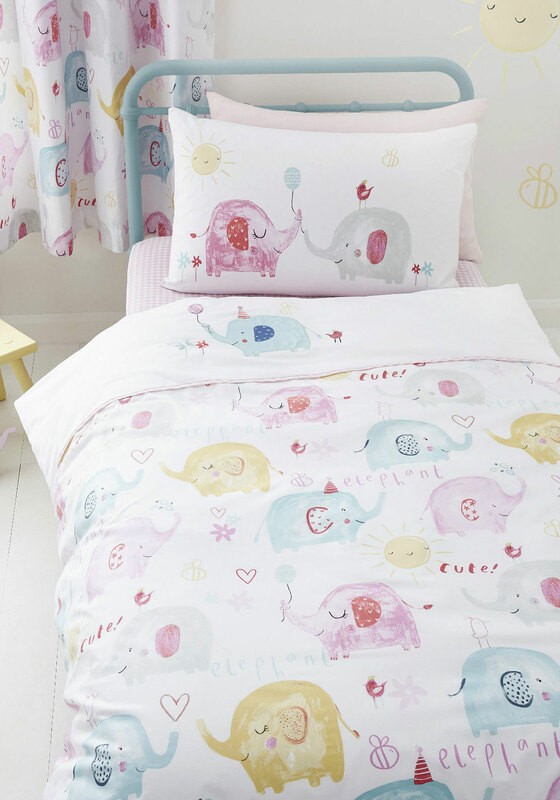 The perfect match for the Elephants on Parade duvet cover set, these curtains from Catherine Lansfield would be a cute addition to your little girl’s bedroom. Made from lined cotton blend fabric with hand drawn elephant prints throughout. Featuring an eyelet header.